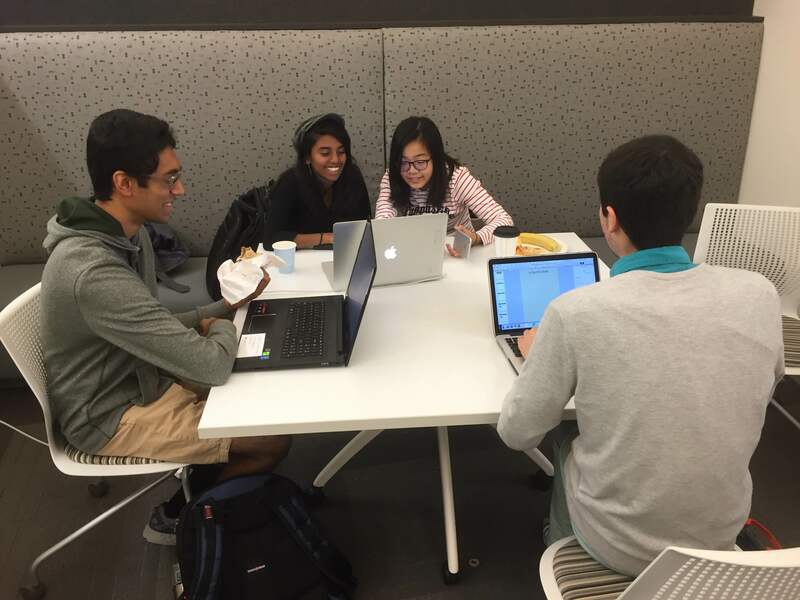 Our teams are hard at work planning and researching! Madeleine Roberts and Ofir Golan looking at post cards from the Rubenstein Special Collections. Team Heretics Member examining North Carolina state asylum documents. 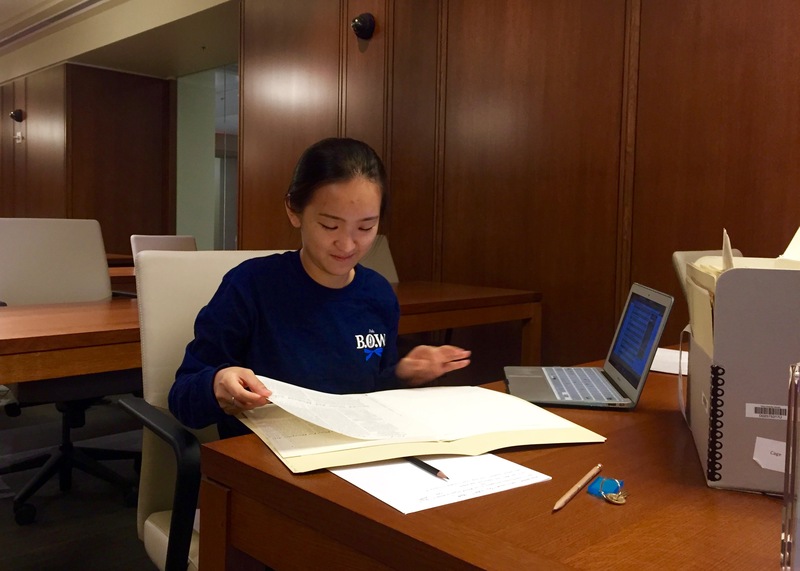 Kay Zhang pages through primary sources in Rubenstein. 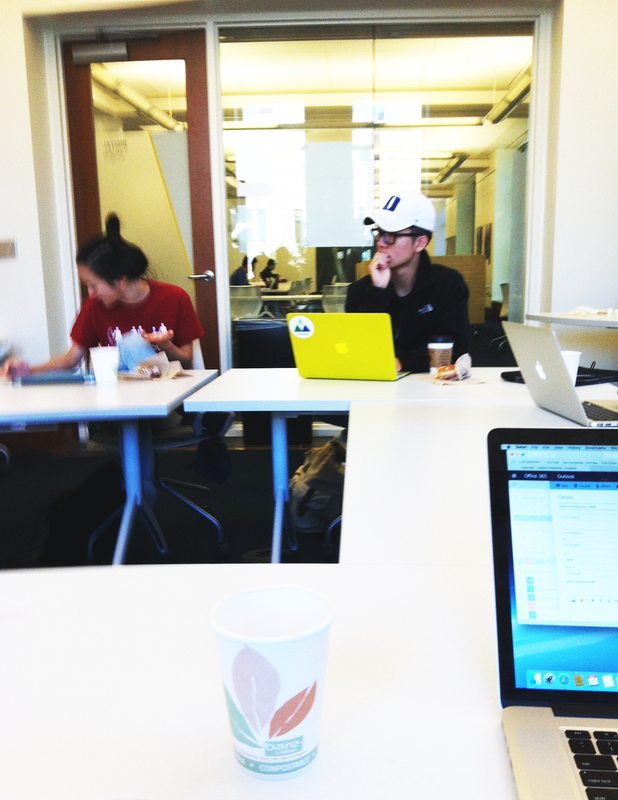 History Hackers hard at work in Rubenstein. Historical Faction works diligently discussing the history of medicine. From left to right: Cheenu Tiwari, Nidhila Masha, Heather Zhou, Mustafa Fattah. History Hackers Kay Zhang and Sonny Byun taking part in our orientation on Friday. 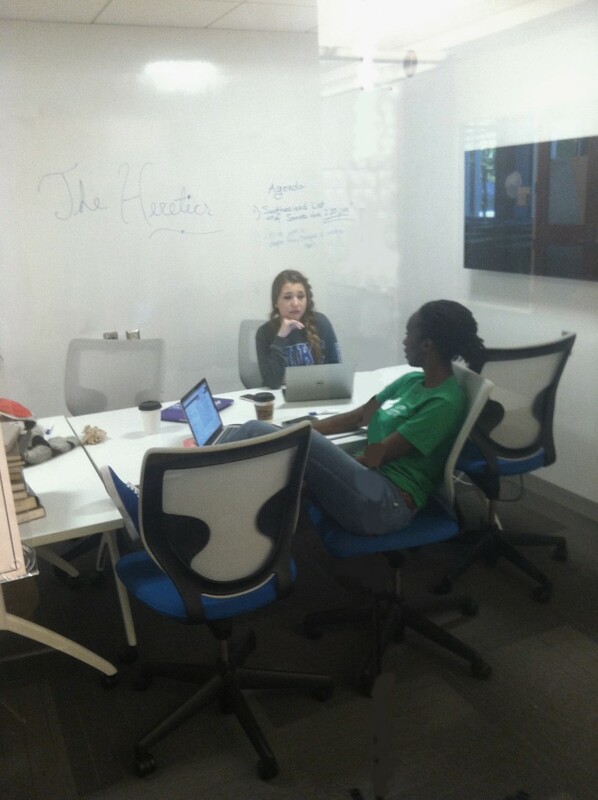 The Heretics team members contemplate their project direction. Thanks to Carson Holloway for the photos! 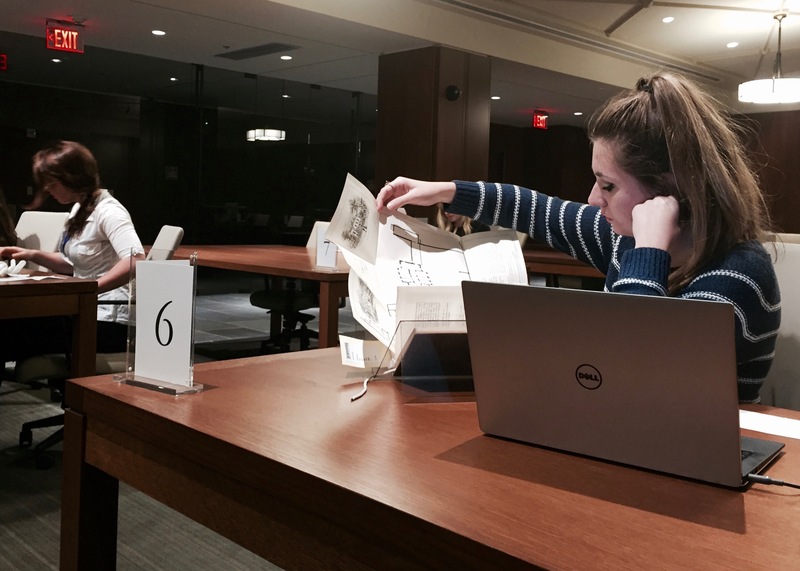 5:00pm – Rubenstein Library closes. A note to teams: your final projects will be submitted via an application form provided in person at the HistoryHackathon. These must be returned by a team member, with information on how to access the project if it is digital or online, before 11:00pm on Sunday, October 25. Many thanks to Ron Grunwald and Deborah Wahl at the Duke Undergraduate Research Support Office for signing on as a co-sponsor of our event. Their contribution will be put toward material support of our undergraduate researchers during their archival work and project creation. The Edge has officially pledged their space for our event! We are excited to have them as collaborators, and hope that undergraduates will be able to use the space’s fantastic technical capabilities to their max. More details soon to follow. 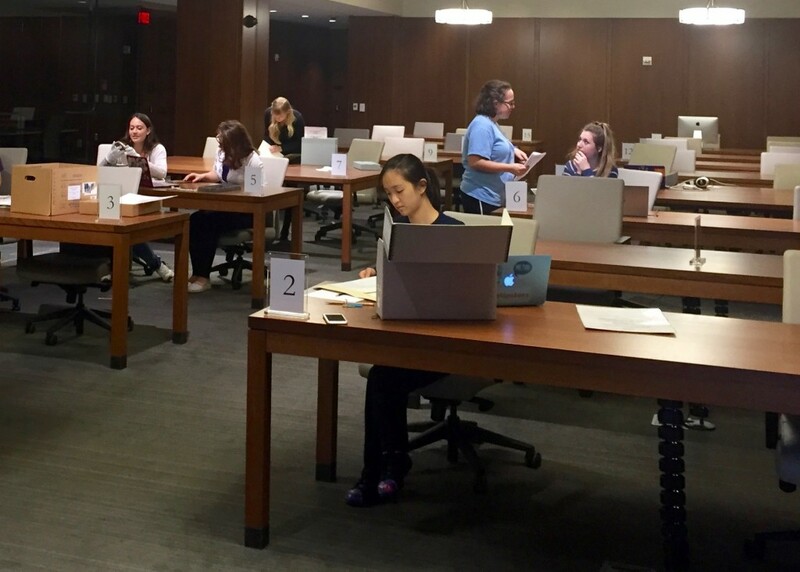 Many thanks to the Rubenstein Library, the Duke History Department, the Duke Libraries system, and Vice Provost for Interdisciplinary Studies Edward J. Balleisen for their support of our event! We have updated our Sponsors page to reflect their contributions. We are still in search of sponsors to ensure vibrant student participation, but we are well on our way to an excellent History Hackathon! Team Kay: Allen Building Takeover: Inherently Violent or Necessary Reaction? 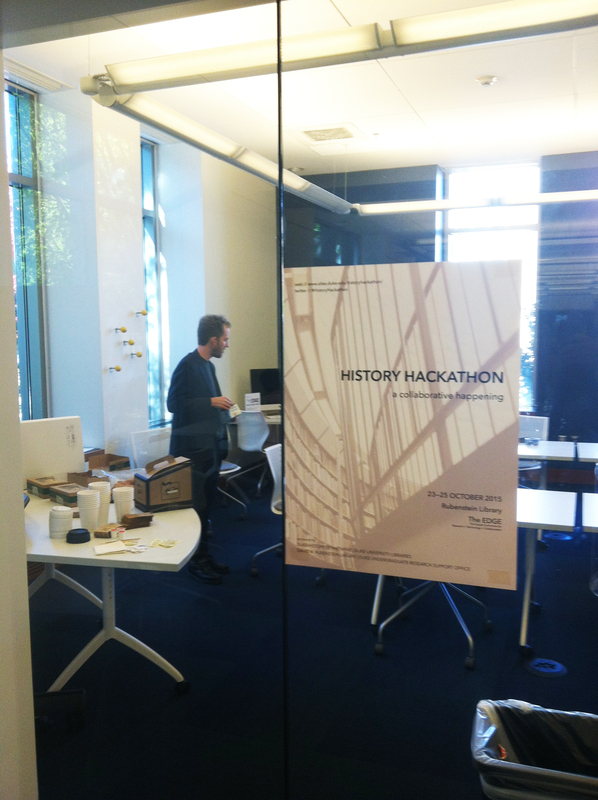 HistoryHackathon is powered by WordPress at Duke WordPress Sites. Please read the Duke Wordpress Policies. Contact the Duke WordPress team.